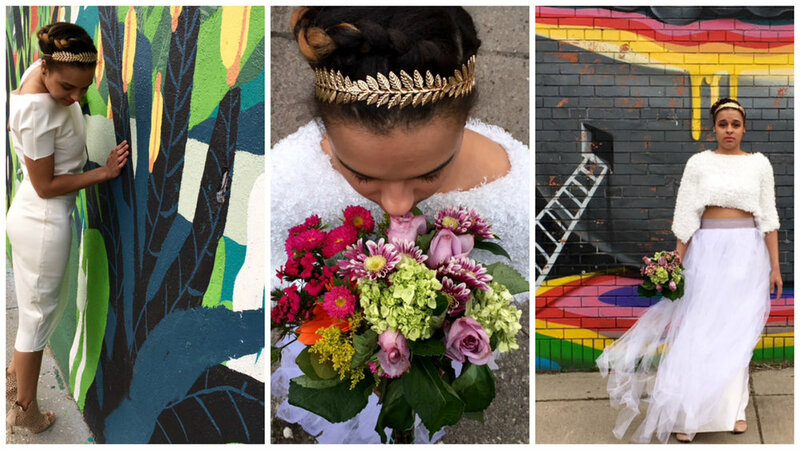 HERE AT DETROIT BRIDAL HOUSE OUR GOAL IS TO SUPPORT THE CITY OF DETROIT AND TO REPRESENT DETROIT’S AUTHENTICITY, NOT ONLY IN OUR OWN BRIDAL BUSINESS, BUT ALSO IN THE SERVICES WE PROVIDE, THE BRANDS WE SELL, AND THE CULTURE WE PROMOTE. WEDDING GOWNS ARE REALLY OUR HEART, WE LOVE THEM AND WE FEEL AS THOUGH A BRIDAL BOUTIQUE IS MORE THAN A PLACE TO GET A DRESS, BUT A PLACE WHERE THE ART OF THE BRIDAL GOWN IS APPRECIATED AND WE ARE THE CURATORS WHO CHOOSE WHICH PIECES GO INTO OUR STORE. THE AIM OF DETROIT BRIDAL HOUSE IS TO SERVE BRIDES IN DETROIT AND ITS SURROUNDING CITIES. PLEASE STOP IN AND LET US HELP YOU FIND THE DRESS OF YOUR DREAMS!! Detroit Bridal House is a bridal boutique for the bride looking for a wedding gown that is unique and affordable. We want to help you find the one in which you will marry THE ONE.